"We were absolutely delighted with everything from start to finish. Sport Ecosse Events from the very beginning were very helpful and efficient getting everything set up and our guide was fantastic. I wouldn't hesitate in recommending Sport Ecosse Events to anyone else considering an adventure of this nature." "Sport Ecosse Events once again provided a great and successful event for us. This is the fourth cycling event that we have run with their assistance and the service they give gets even better each year. Providing a thoroughly professional and tailored service to meet our needs I would recommend them to any other charity." "St Columba’s Hospice has run our very successful Celtic Challenge with Sport Ecosse Events for 2 years now. The Celtic Challenge 2012 was a resounding success and our participant’s feedback post event has all been hugely positive. We look forward to working with Sport Ecosse Events again in 2013!" "At Highland Hospice we came up with an idea for a new challenge event on the Isle of Skye called Skye’s the Limit. Sport Ecosse Events took our idea and turned it into a fantastic event. We were looking for an annual event that was special to Highland Hospice and we got just that. In the first year we had 100 participants taking part and we hope this will increase year on year. We have had such positive feedback from everyone who took part and are very much looking forward to working with Sport Ecosse Events on next year’s event." 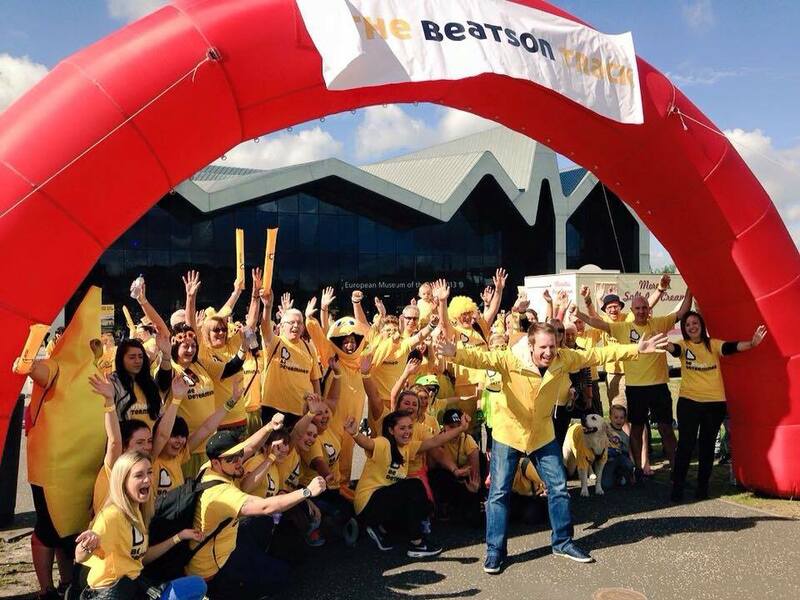 "We were delighted with the way our challenge went with Sport Ecosse Events. They were very supportive beforehand and our participants were full of praise for the way the event ran and the help that they received in completing their challenge. We look forward to working with Sport Ecosse Events again in the future." 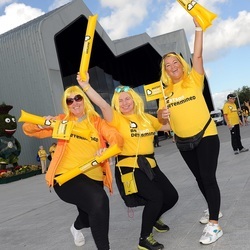 “Sport Ecosse Events were professional and thorough, they went the extra mile to provide a truly supportive service for our Marie Curie Cancer Care cyclists”. 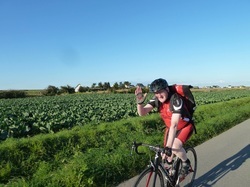 "In 2011 we held our third challenge event with Sport Ecosse Events, a 6 day cycle from London to Brussels to Amsterdam. They again delivered a great event that was very well organised providing a really enjoyable experience for participants and allowing New Ways to raise significant funds. We look forward to continuing to work with Sport Ecosse Events in the future." 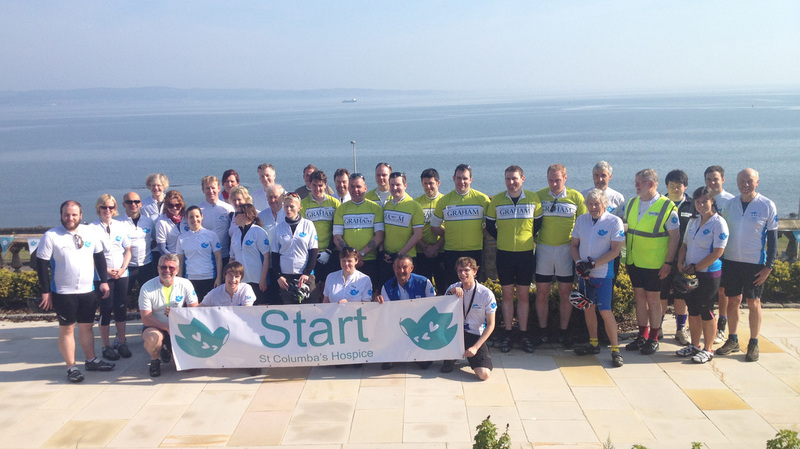 "Sport Ecosse Events worked with St Columba's Hospice on our first cycling challenge. 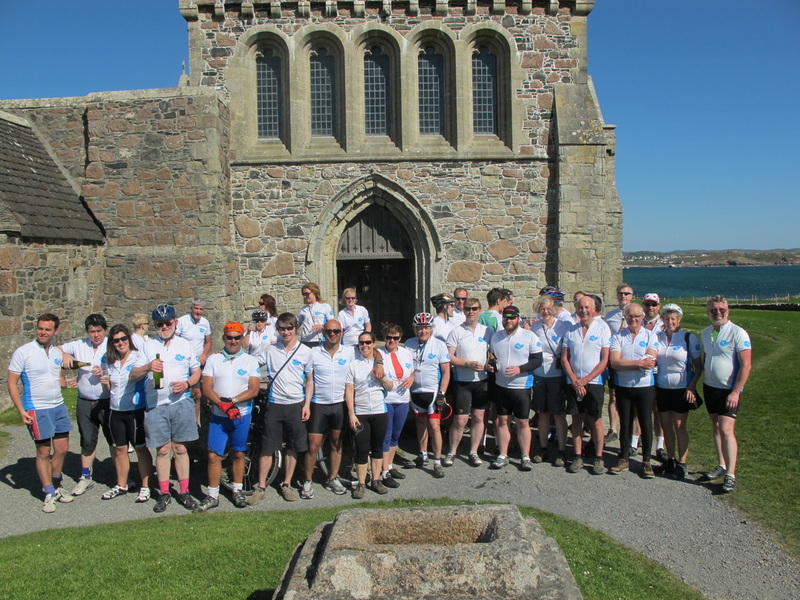 They came up with a very attractive route from Edinburgh to Iona and a fantastic package helping us raise £43,000 net income. They were a pleasure to work with and provided great support. We look forward to growing this event with their help in 2012." "With 27 participants from Occam we were delighted with the support of Sport Ecosse Events prior to the event, on the mountains, and throughout the challenge. It was a thoroughly professional service that helped Occam achieve our aims of raising significant funds for charity with some great team building. An excellent company to work with." "Our first weekend cycle challenge was very successful with great support from Sport Ecosse Events. They ensured that the event was both safe and enjoyable for all as they endeavoured to meet the needs of everyone. Thanks to all at Sport Ecosse Events for your hard efforts and input throughout the event." "Sport Ecosse Events were very professional and gave all of us fantastic support. As you group we could not have completed this challenge without them but with their help it was brilliant and a once in a lifetime experience." 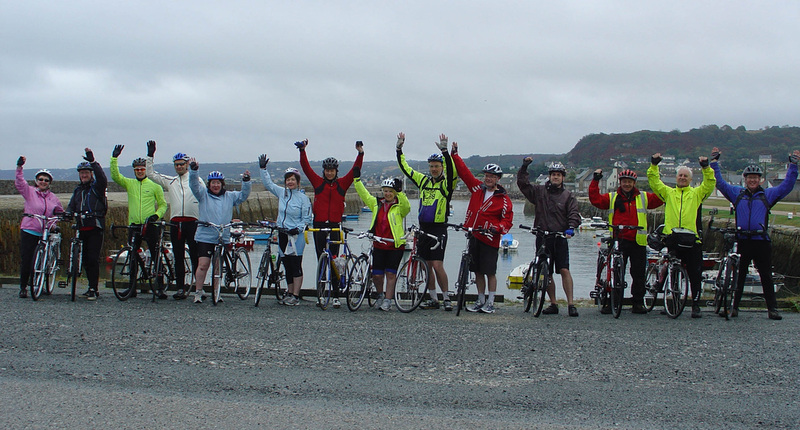 "Following a successful 2009 cycle, New Ways undertook another cycle in Normandy with Sport Ecosse Events in 2010. The Sport Ecosse Events team was fantastic and fully committed providing a personal service to help ensure another fantastic event to help us raise much needed funds." "Exceptionally friendly and kind team who made a point of looking after and for all of the riders. A lovely bunch of people." "Great fun with great people". "Very well organised, worked very well." "It was an excellent event, a big achievement and everyone was relaxed and positive which made it great fun." "The trip was fantastic; all the support team couldn't have been more helpful." "I had a brilliant time on the Sport Ecosse Events cycle in France. Everyone really enjoyed themselves and the whole team were great - we all helped each other along the way. Our cycle has raised a net income of over £40,000 which will make a real difference to our health project in Kenya." "Many Thanks to Sport Ecosse Events for arranging the Three Peaks Challenge. The staff who participated have returned to work with a fantastic sense of achievement and we have also raised over £10,000 for CHICKS, our chosen charity! Keep up the good work." 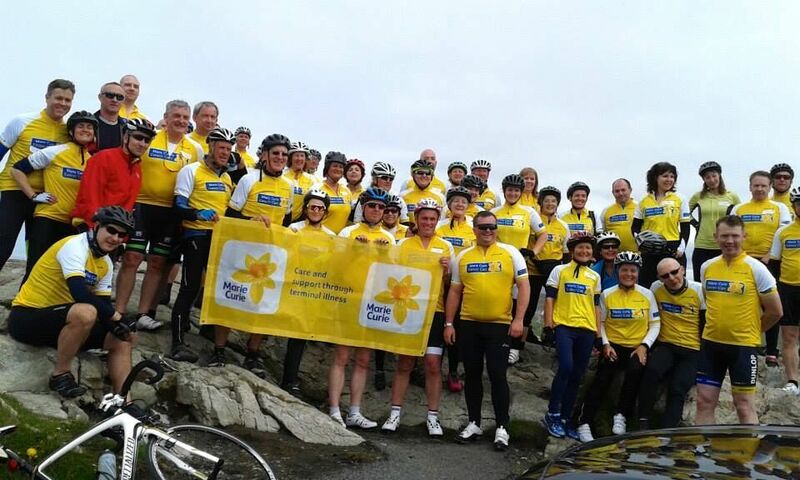 "Really well organised and great to be able to support Marie Curie Cancer Care in such a fun way!"